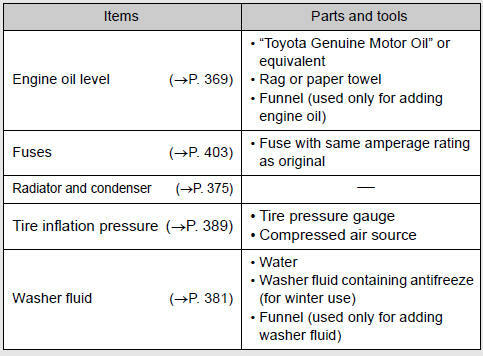 If you perform maintenance yourself, be sure to follow the correct procedure given in these sections. The engine compartment contains many mechanisms and fluids that may move suddenly, become hot, or become electrically energized. To avoid death or serious injury observe the following precautions. • Keep hands, clothing, and tools away from the moving fan and engine drive belt. 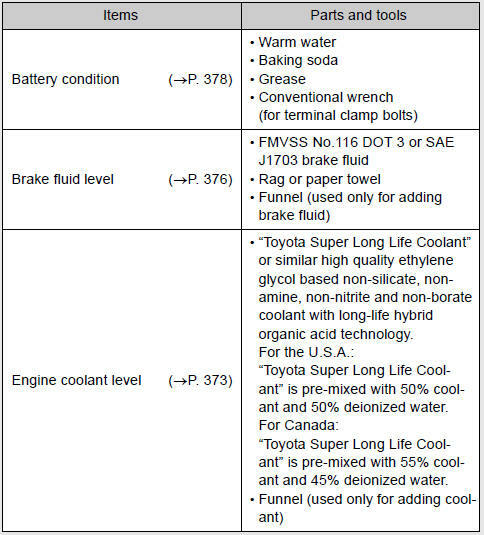 • Be careful not to touch the engine, inverter, radiator, exhaust manifold, etc. • Do not leave anything that may burn easily, such as paper or rags, in the engine compartment. • Do not smoke, cause sparks or expose an open flame to fuel or the battery. • Be extremely cautious when working on the battery. It contains poisonous and corrosive sulfuric acid. ►Vehicles with smart key system Be sure the “ENGINE START STOP” switch is off. With the “ENGINE START STOP” switch in IGNITION ON mode, the electric cooling fan may automatically start to run if the air conditioning is on and/or if the coolant temperature is high. ►Vehicles without smart key system Be sure the engine switch is in the “LOCK” position. With the engine switch in the “ON” position, the electric cooling fan may automatically start to run if the air conditioning is on and/or if the coolant temperature is high. Driving with the air cleaner filter removed may cause excessive engine wear due to dirt in the air. Also a backfire could cause a fire in the engine compartment.